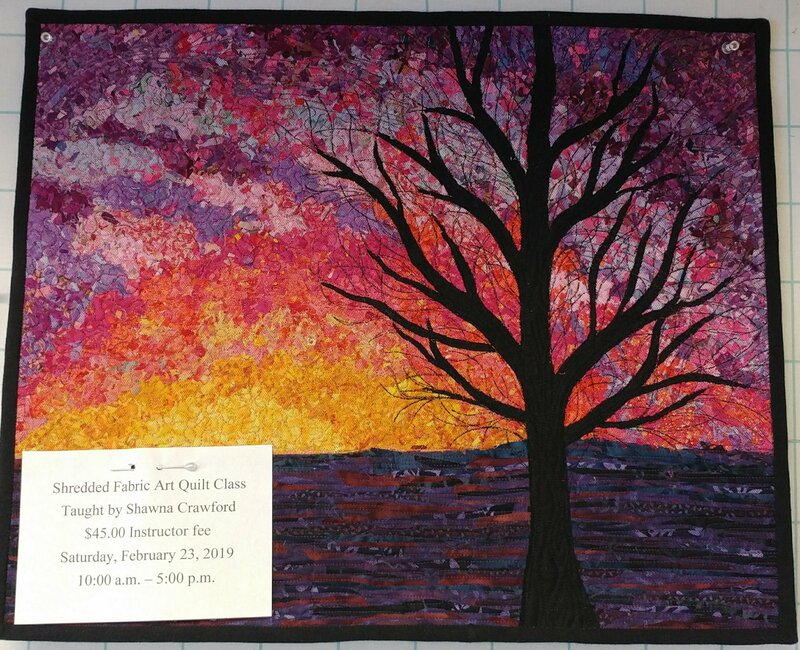 Shawna Crawford will be teaching this fun technique on using shredded fabric to create landscape art quilt projects. $5.00 non-refundable fee is required to reserve your spot in class. An instructor fee of $45.00 is payable to Shawna on the day of class.